Well, it's "Little Peanut" making its grand debut! I think "Lil' P" kind of looks like me, but maybe I'm jumping the gun a little. They have an amazing journey ahead of them and I am so grateful to be a part of it all. Ain't God good! 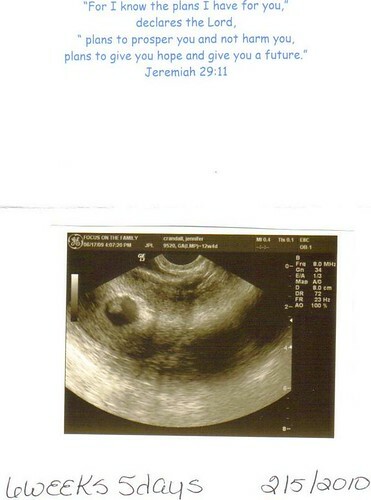 The due date as of Thursday is Feb. 6, 2010. I can hardly wait to get my hands on that baby and get me some Grammy kisses!